Chap. 5. If anyone condemns dogmas, mandates, interdicts, sanctions or decrees, promulgated by the one presiding in the Apostolic See, for the Catholic faith, for the correction of the faithful, for the emendation of criminals, either by an interdict of threatening or of future ills, let him be anathema. Radical Traditionalists routinely condemn the decrees of the Church since Vatican II, including those involving the correction of those individuals who defied the Church... like Archbishop Lefebvre. So we see something interesting here. 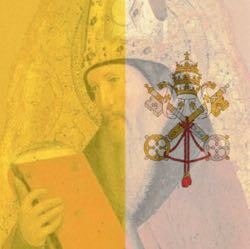 So, when the Pope decrees a change in the Mass, when he excommunicated a recalcitrant bishop for illicitly consecrating three bishops against the his express refusal... the condemnation of these is the condemnation of a papal decree. The radical traditionalists should be grateful the Popes they blast and condemn are so patient and merciful.